Biogas – Biogas obtained from any organic waste it is the preppers most effective fuel source. Used to power up a generator, a cooking stove or to heat the entire house, makes this fuel very inexpensive and reliable. Inexpensive because you generate biogas from any organic materials, like food waste, human and animal waste, grass, leaves and so on, once is organic…can be turned into biogas. Reliable because of his many uses. You can build a biogas system to generate electricity, to heat a house or use it for cooking on any gas cooking stove. Biogas would be very beneficial to have on hand during a disaster situation, especially a longer-term disaster and not only, this can save you lots of money every day. This is a link to Liberty Generator official website, a biogas system step by step with photos and video. Firewood – This is the most basic of fuel sources, is inexpensive and depending on where you live, there could be a plentiful supply for use. Many preppers believe that firewood is one of the greatest self-sufficiency advantages of off the grid living. Ensure that your firewood is seasoned at least six months and is kept dry. Firewood is also the only fuel that has re-usable bi-products. Firewood can be made into charcoal, and its ashes used in the garden or compost pile. Gasoline – Because of the oxygenate additives that are added to gasoline, it’s shelf life is greatly affected. The shelf life for gasoline is about 1 year if properly stored. This type of fuel will more than likely need a stabilizer such as Sta-bil (available at Wal-Mart) added to it to preserve the gasoline. This fuel can be even more diminished if gasoline is subjected to heat, and moisture. Most cities prohibit this type of fuel from being stored above ground, so check with a fuel dealer in your area. Additionally, there is strong evidence that these fuels pose dire health and environmental consequences, so please follow the safety suggestions provided above. Two grades are available: #1 diesel which is old-fashioned yellow kerosene, and #2 diesel which is the same thing as #2 home heating oil. (You may see literature to the contrary, but #2 diesel is #2 heating oil. Period.) Diesel fuel presents its own unique storage problems: The first is that it is somewhat hygroscopic; that is, it will absorb moisture from the air. The second and related problem is sludge formation. Sludge is the result of anaerobic bacteria living in the trapped water and eating the sulfur in the fuel. Left untreated, the sludge will grow until it fills the entire tank, ruining the fuel. Stored diesel fuel should be treated with a biocide like methanol or diesel Sta-Bil as soon as it is delivered. Unique to #2 is the fact that some paraffin wax is dissolved in the fuel and will settle out at about 20° F, clogging the fuel filter. This “fuel freezing” may be eliminated by adding 10% gasoline or 20% kerosene to the diesel fuel. 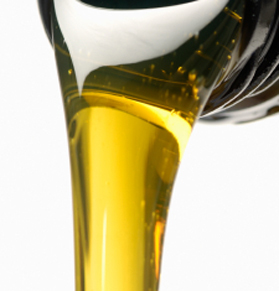 Commercial diesel fuel supplements are also available to solve the same problem. Diesel should be filtered before use. Kerosene – This is one of the more versatile fuels that can be stored for disasters for long-term use. Another perk of storing this fuel is it does not evaporate as readily as gasoline. Although some preppers add stabilizers to this fuel to ensure it remains viable, no special treatment is needed. Did you know that many pre-1950 farm tractor engines were designed to run on kerosene? In fact, diesels will run on kerosene if necessary.